It is a 090-inch TS series 4-pole male terminal side coupler. 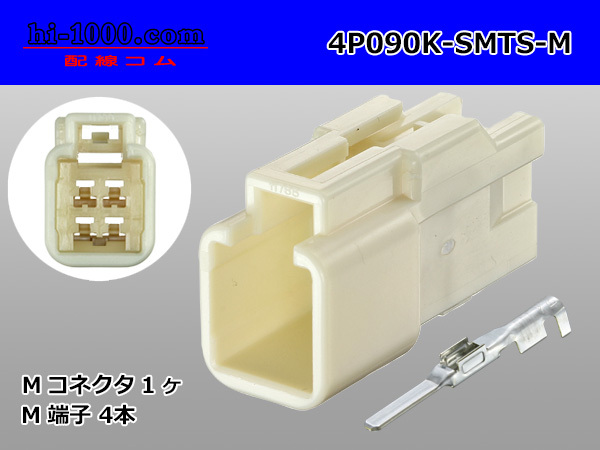 Toyota genuine parts 90980-11765 equivalent ※ repair terminal 090 type Sumitomo TS / Yazaki 090? 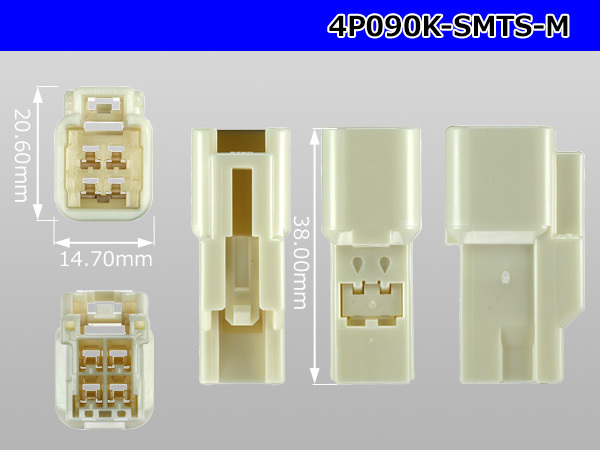 series male terminal non-waterproof / M090-SMTS is. 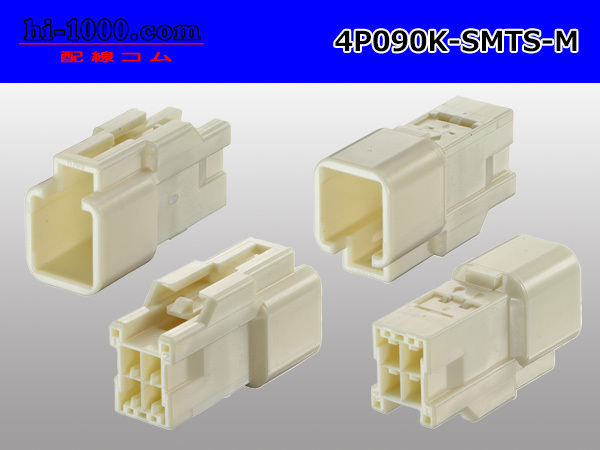 Female terminal side coupler 4P (090-inch) -SMTS female terminal side coupler kit / 4P090K-SMTS-F is.